I've ranted before that I don't like liquid eyeliners. I found their built-in applicators difficult to use - they're either too thin, too stiff, too awkward to maneuver around the contours of the eyes. Don't get me wrong, I love the precise effect and lasting power of liquid liners, but the applicator is usually the deal breaker for me. 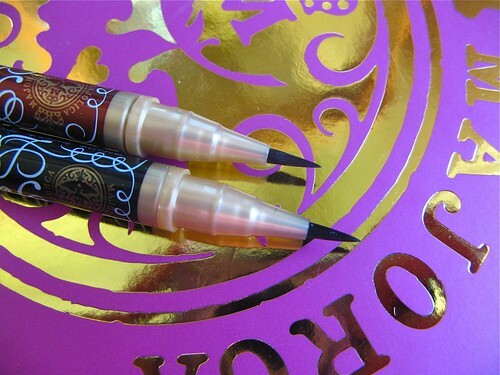 And then I met the Majolica Majorca Perfect Automatic Liner (P695). I am in love with the brush of this automatic pen. It's made of synthetic hair that's actually close to the quality of a professional makeup brush. It's soft and delivers a perfect line with no fuss. It does take a bit of practice,so you have to try it for a couple of times to get a feel for it. I like the brush so much that I plan to use it for my gel eyeliners when I run out of the Majo liner! :D Anyway, it's time to talk about the formula. Stays on all day with zero smudging. Where pencil eyeliners would smudge, liquid liners are definitely more reliable. I particularly like the color of RD 605. It's a reddish purplish shade that brings out the brown of one's eyes. Not typical like black or brown. 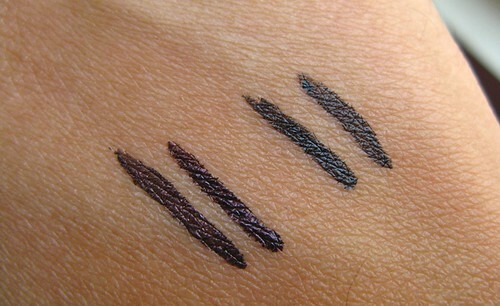 This Majo liner comes in a lot of gorgeous shades. The click pen mechanism works pretty well. Two or three clicks and I get the right amount on the brush. Comes with seals to ensure that the product is 100% fresh. The liquid itself is sealed in until the applicator punctures the pen chamber. The turner at the bottom is also sealed with a sticker. The cap goes on tightly, so you can be sure that the product won't dry up prematurely. Affordable at P695 (1.3mL) in SM Makati. The product is pigmented, but it is not as opaque as I would like. It takes two swipes to get a solid line. 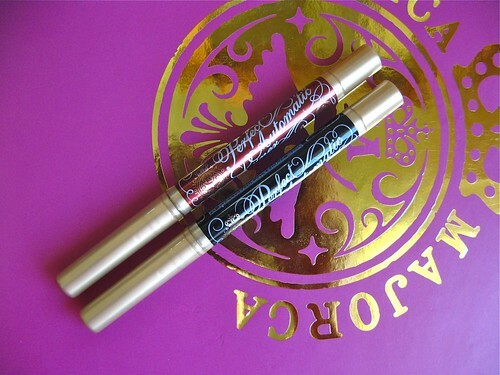 The Majolica Majorca Perfect Automatic Liner is best for girls who want their eyeliners to look more natural - as if the line is just an extension of their eyelashes. This liner delivers a thick or thin line, depending on your preference. If you want something more dramatic, the color is easily to build up. Buy this if you like gel eyeliners but don't like the fuss that goes into using them. 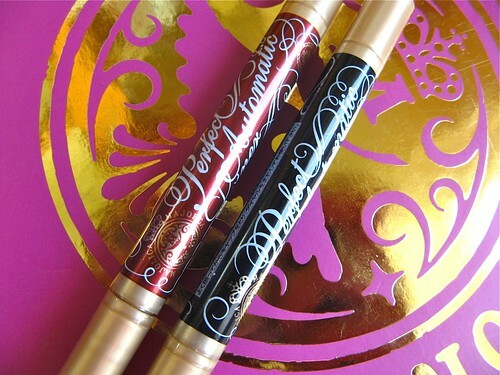 These Majo eyeliners are quite convenient to tote around and use in a jiffy! I think this Majo eyeliner is a great deal! Why? Because I get a nice eyeliner for natural looks like the one I showed above, plus a new gel eyeliner brush when I run out. Win-win.